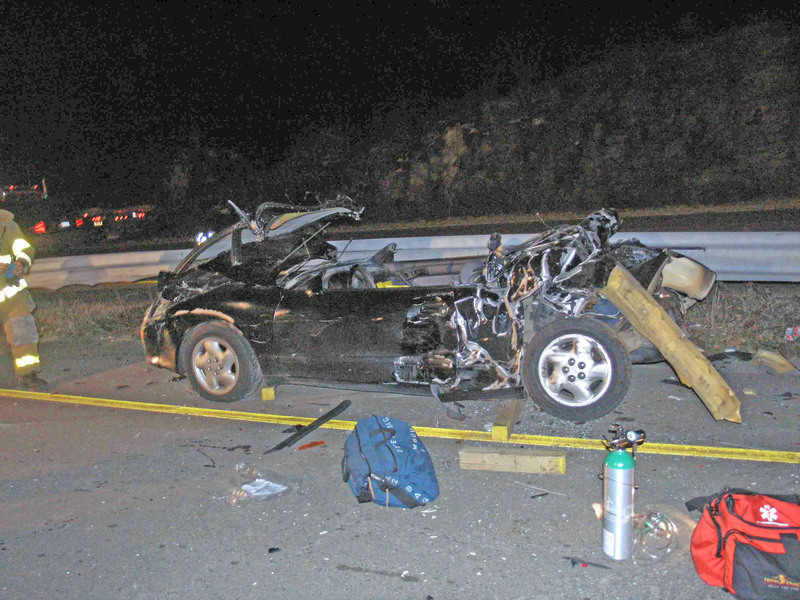 On Friday, December 23, 2005 at 1820 hrs, Rombout was dispatched to a serious MVA on Route 9 North near the Splash Down Water Park. While enroute, responding units were advised extensive extrication would be needed to access 2 children pinned in the back seat of the car. 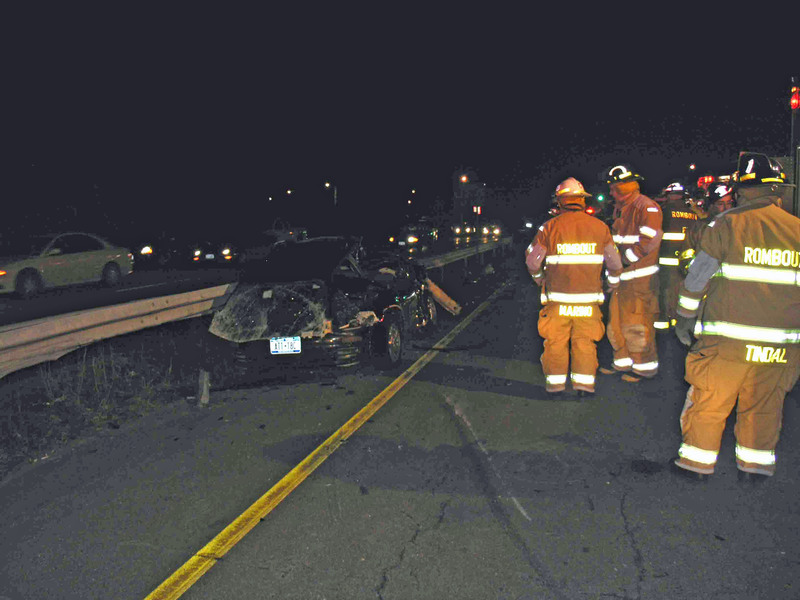 Upon arrival, the driver had already extricated himself from the vehicle, and Rombout worked feverishly to remove the adult female in the front passenger seat, and the 2 children, aged 3 yrs and 9 yrs, in the back seat. The 9 year old child was unresponsive at this time. Rombout Firefighters utilized the Hurst Cutters to remove the roof of the vehicle. Once the roof was removed, the children were able to be extricated. The entire extrication process took less than 10 minutes. After the 9 year-old was removed from the vehicle, he regained consciousness and was transported to Westchester Medical Center via Stat-Flight Helicopter. The remaining patients were transported to local trauma centers. The latest update on all patients was that they were doing well, without any life-threatening injuries. The driver of the other vehicle, which fled the scene was apprehended a short time after the accident. 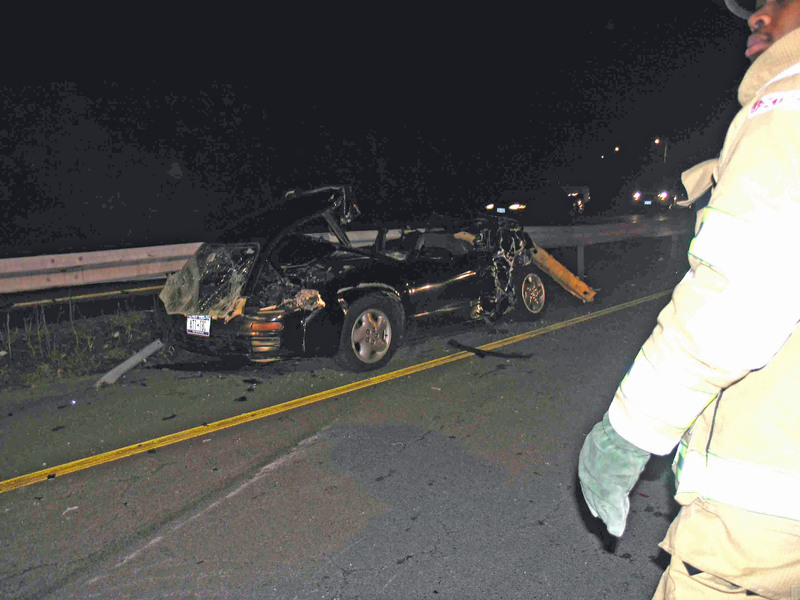 The vehicle, with extensive damage, was pulled over in the Town of Wappingers by New York State Police. 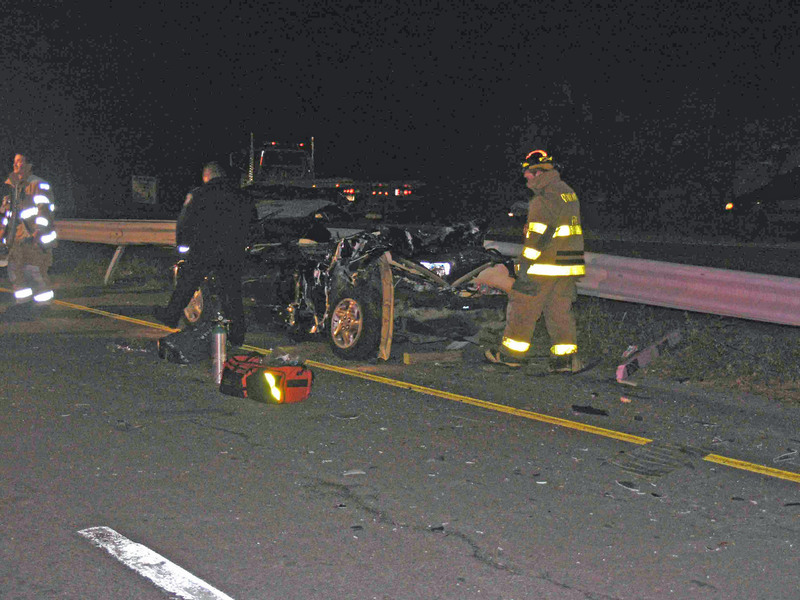 The driver was charged with DWI and leaving the scene of a personal injury accident. Further charges were possible upon completion of the investigation by the Town of Fishkill Police and the Dutchess County Sheriff’s Office. 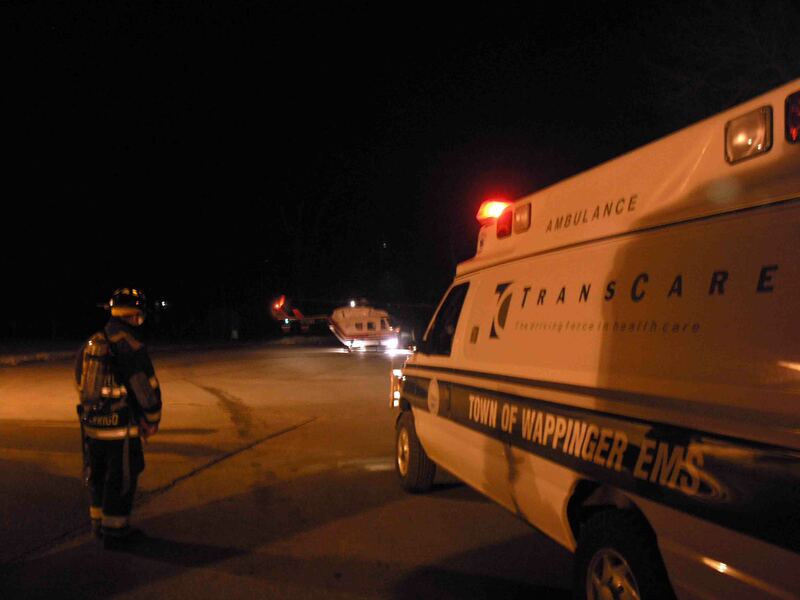 EMS Units: Alamo EMS, Town of Wappingers Ambulance, Mobile Life Paramedics. Fire Departments: The Village of Fishkill Fire Dept, who set up the Landing Zone at Fishkill School for Stat-Flight and the Glenham Fire Department, who provided stand-by coverage at Rombout Station 1. 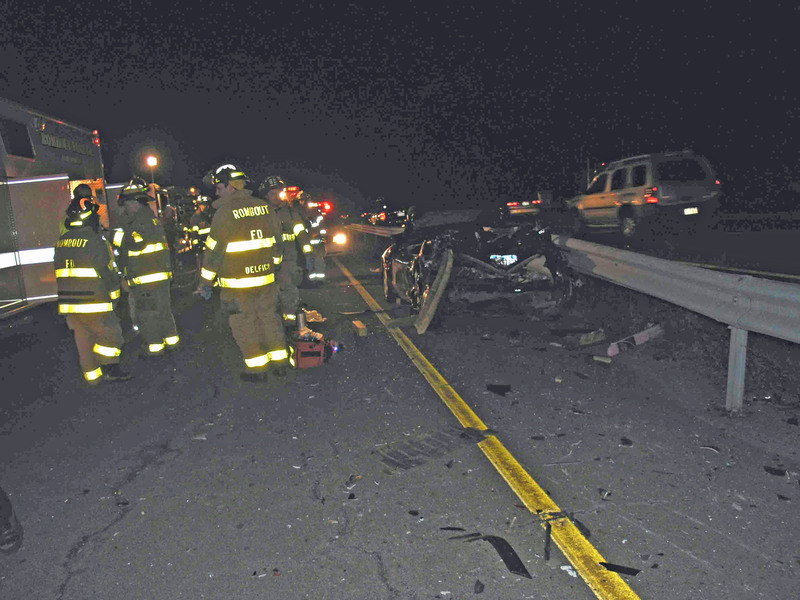 Rombout units stayed on the scene until approximately 2300 hrs assisting police units with the accident investigation.